a. It will be easy to preserve our dignity when there is fearlessness. b. The poet wants to hear true words from people. c. Dead habits are the divisions between societies. d. The poet appeals his countrymen not to worry about perfection. a. What has broken the world ? b. What do we need to achieve perfection ? c. What does the word 'Father' in the poem refer to ? My parents were not able to pay for my higher studies. I needed to get a job to support my family as well as to save my face. I tried my luck but there was no job in the lines of my plan. It was not thought decent to dirty your hands after being at college but one day, my mother asked me if I could help her in the fields. I liked working in the monsoon when there was no scorching sun in the sky. Mostly we worked in a drizzling rain that swept away the sweat of our toil. Under the canopy of black and white clouds we pulled the rice seedlings to plant them in a swampy soil as smooth as curd. The work was fun particularly when the co-workers were other young people. But working in summer was very difficult and boring. Without any kind of irrigation, we had to depend on our own muscles. Swinging baskets or buckets were used water the fields: they were suspended by four cords and were held at each end by two people. The buckets were dipped into the water - sometimes four feet down and then raised with a single throw so that the water could flow into the fields. Thus, with one basket, we could irrigate half an acre a day. By the time the day was finished we were finished too. What I had heard about Europe had led me to believe that what took two of us an hour to do, an English farmhand could have done in 15 minutes. Such were the conditions then and they are the same now. a. The narrator felt working in summer was difficult. b. The narrator tried hard to get a job. c. The narrator found that agriculture in his country was still traditional. d. Later the narrator worked in the fields. a. Why did narrator need a job ? b. What is the soil compared with ? c. Why was working in summer difficult ? d. How does the writer show that English farming is faster ? Four men have been arrested on suspicion of murder after a 23-year-old man was found with stab wounds at a property in Bolton. Police were called to the address in Breightmet, at about 4:15am on Sunday. The man was taken to hospital where he later died. His family is being informed, police said. Two men aged 29, one aged 30 and another aged 31 are being questioned by officers on suspicion of murder and violet conduct. Police in Bolton are working with detectives from Greater Manchester police's major incident team in the murder investigation. Inspector Carol Martin, from Bolton police, said: "First and foremost our thoughts go out to the family and friends of this young man. We are currently trying to piece together what happened before police arrived at the scene and we will be doing everything we can to find the person or persons responsible. I would like to appeal to anyone who may have witnessed the disturbance or seen anything suspicious before and after police arrived to get in touch so we can give this man's family and friends the answers they deserve. Anyone with information should call police on 0161 8565774 or the Independent Charity Stoppers, anonymously, on 0800 555 111'. a. The man killed was i. 29 years of age. b. The incident took place ii. 23 years old. c. The murder is being investigated iii. in Bolton. d. Two of the suspects are iv. by the detectives. a. The man died at about 4:15am on Sunday. b. According to the police the family of the man has already been informed. c. The police are not sure yet whether the four men killed the man. d. The persons informing need not disclose their names. a. Why have the four men been arrested ? b. Who are helping the police to investigate the case ? c. Where did the man die ? d. What appeal do the police make to the general public ? Janjagriti Nature Protection Foundation re-announces the vacancy for the following position for Community Climate Project. The duration of the contract initially is one year and subject to renewal on annual basis upon satisfactory performance. 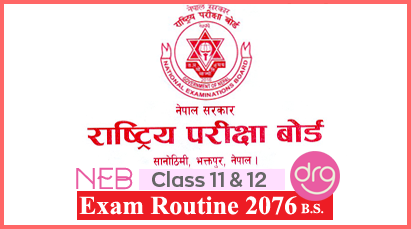 For detailed terms of reference please visit career opportunity page of JNPS website:www.jnps.bait.org. Applications along with detailed CV, contact no. and two recent passport-size photographs should be submitted by April 20, 2016 to JNPF. Attested copies of all certificates, mark-sheets and other relevant documents should also be submitted. Only short-listed candidates will be informed for further selection process. JNPF reserves the rights to accept or reject all/some of the applications without stating any reason whatsoever. Note: No telephone inquires will be entertained. Canvassing at any stage of the selection process will lead the candidate to automatic disqualification. c. We can get ...............by visiting the website:www.jnps.bait.org. a. What does JNPF stand for ? b. In what condition will the duration of the post be renewed ? c. Mention any three things to be submitted along with the application. d. How can the applications be sent ? Mary: Fine. It's been popular by now. Mary: I'm going to have a burger with cheese. Mary: Burger too ? m'm ..........................What are you going to have ? John: I'm either going to have mushroom soup or fish soup. John: Why did Binod say he was too busy ? I'm going to have deep-fried mushrooms. He has a party to attend. Are you going to have a starter ? Finally, we got into a right place. I'll have a vegetarian burger with barbecue sauce on it. A little boy steals ........ (a/an/the) book. His mother sells the book ........ (in/for/on) fifty rupees and gives the boy two rupees as a reward. As he ........ (grows/grew/grow) up he becomes a notorious thief. He commits series of crimes, ....... he ? (don't/doesn't/didn't). At last he ........ (caught/is caught/has been caught) and sentenced to death. On the way he says that he ........ (wished/wishes/wish) to meet his mother. The mother ........ (has arrive/has just arrived/have just arrived) to see him. The boy ........ (who/whose/whom) is very much angry with his mother bites her ear off. This makes the mother ........ (cried/to cry/cry). Had the mother punished the boy in his first stealing, he ........ (would be/would have been/will be) an honest man today. 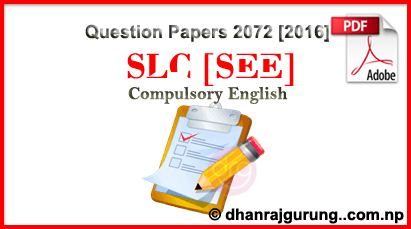 1 Response to "Compulsory English | SLC Exam Paper | 2072 "